We’ve almost finished dredging up League’s latest monstrosity! 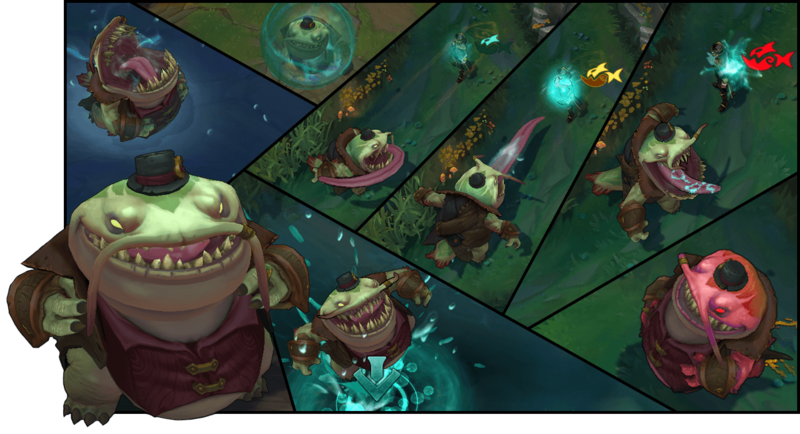 Tahm Kench is a tough solo lane or support tank with a taste for… well, pretty much everything. He’ll happily munch down on an enemy champion once he’s slathered them up, stowing them in his sizeable belly - and out of a fight - while the River King’s allies leverage their advantage. 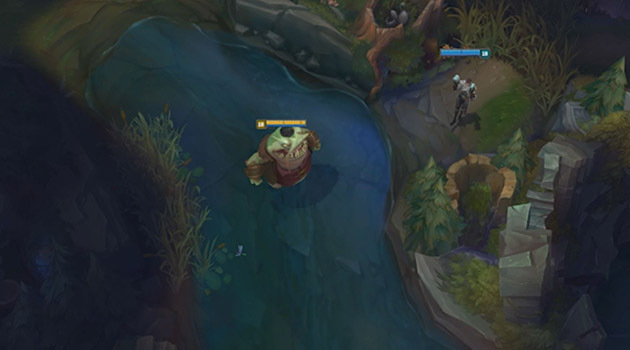 But Tahm Kench’s stomach isn’t reserved solely for his enemies: after swallowing an ally, the tanky fish-man can dive into one of his signature whirlpools before throwing himself towards the enemy team. "Boy the world's one river, and I'm its king. Ain't no place I ain't been. Ain't no place I can't go again." 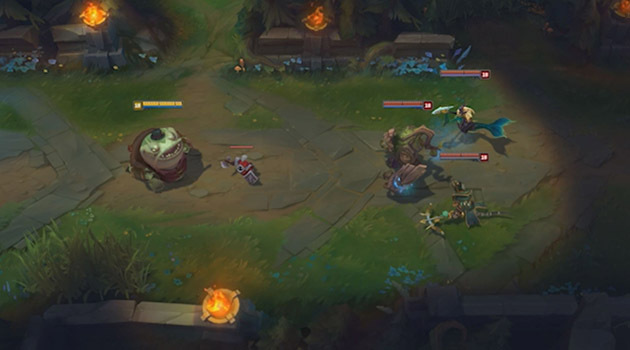 Tahm Kench is tanky enough to take a licking as well as give one, so he’s best positioned amongst his minions when he heads to a solo lane. From there the River King’s free to last hit and trade with his opponent as he sees fit. 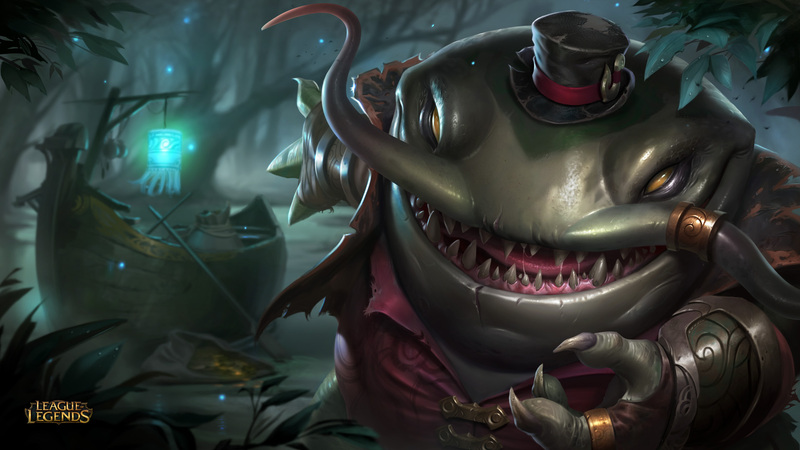 The thing to remember with Tahm Kench is that even when he goes even in trades, he wins thanks to Thick Skin’s passive, which regenerates enough of the River King’s health to make otherwise questionable trades more palatable. 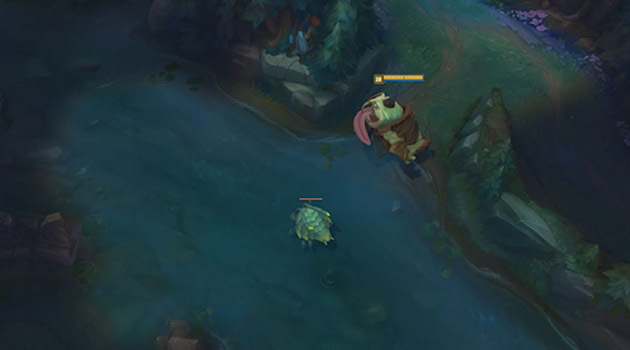 If it looks like the enemy’s trying to all-in him, Tahm Kench can Devour his enemy for a burst of damage and some uninhibited healing, or, if he hasn’t applied enough stacks of his passive, activate Thick Skin for a life-saving shield. "This hunger’s a burden, but it’s the last time, I swear. So please, forgive." Even as early as level six, Tahm Kench can start freely roaming, using Abyssal Voyage to quite literally dive behind unsuspecting enemies. Thanks to his expansive gut, Abyssal Voyage also gives the River King the option to bring the party with him as he ults around. He can, for instance, buddy up with his nearby jungler and ult over to mid, setting up a quick three versus one scenario. Even if their target flashes to their tower, Tahm Kench can lead the tower diving incursion, using Thick Skin to absorb the tower’s shots while his allies secure the kill. 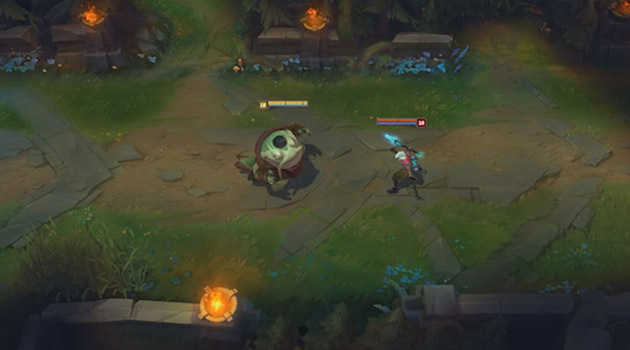 Sejuani and Tahm Kench come into their own during the later stages of the game, particularly whenever sieges start forming. If his team’s struggling to defend a tower, the River King can take Sejuani on an Abyssal Voyage behind the enemy team, instantly flanking them and setting up an easy teamfight for Sejuani to toss a Glacial Prison into. Let us know your thoughts on League’s munchiest champion in the comments below!